Maharashtra is the second largest state of India after Uttar Pradesh. There are significant diversities in the culture of various regions across the length and breadth of the state, and the same applies to food. 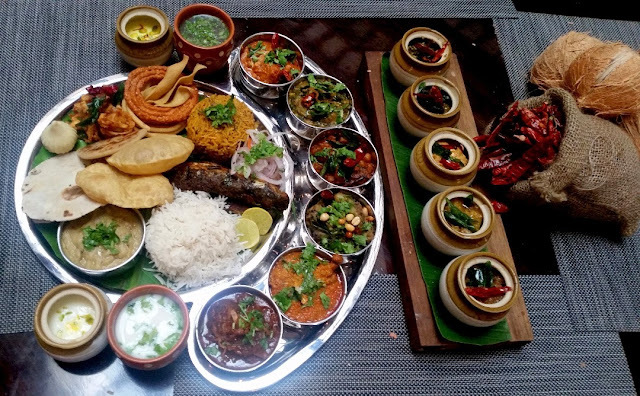 Marathwada, Vidarbha, Malvan, Kolhapur as well as the Bombay region have their preferences in styles of cooking as well as ingredients. 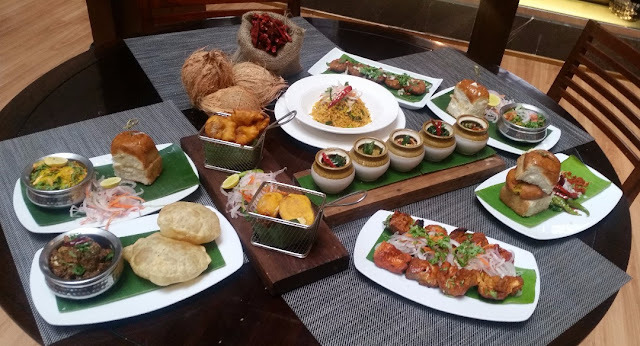 This was explained by Chef Uday Karmalkar, Chef De Cuisine from Courtyard by Marriott Mumbai, presently in Hyderabad to curate the “Taste of Maharashtra” food festival at The Westin Mindspace, Hyderabad. Chef Uday went into finer details of the cuisines of Maharashtra, as he explained the use of ingredients. The Malvani area has many preparations using fresh coconut, whereas in the northern coastal areas dry coconut is preferred. Puneri recipes use a lot of peanuts, whereas, in Vidarbha, where a lot of chillies are produced, the food is spicier. He also elaborated the fact that the same dish has subtle differences in various parts of the state. 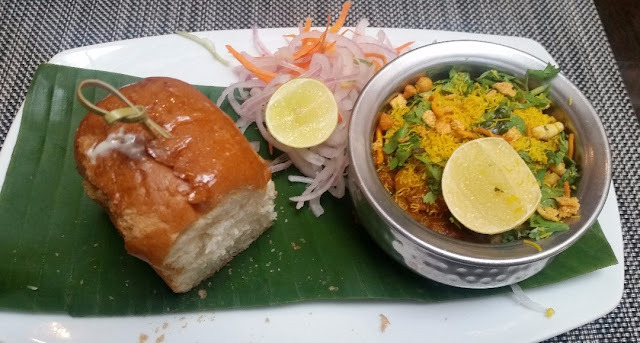 Misal (of Misal Pav fame) for example is considerably less spicy in some rural areas, also in other areas, the dish has a fair amount of wetness. The Maharashtrian food festival is on at Seasonal Tastes, the all-day dining restaurant of The Westin Hyderabad. The festival which is part of the lunch and dinner buffet has taken pains to present dishes from all over the state. Quite a few live street food counters have been set up in the restaurant. 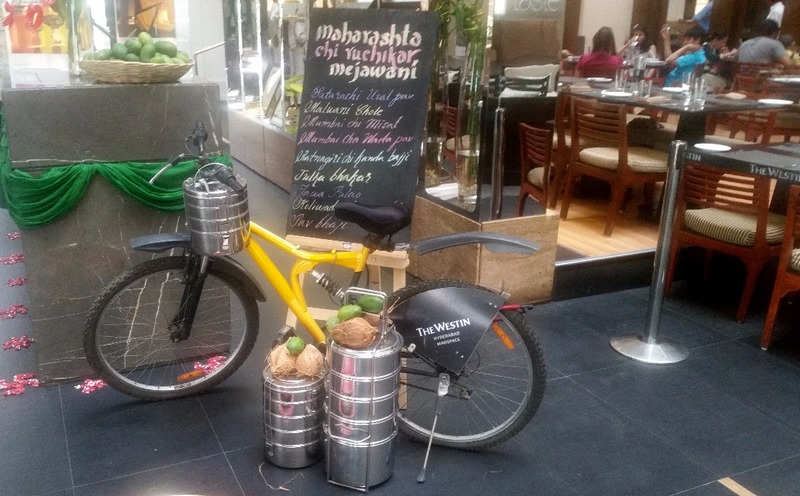 On the first day of the festival, one counter was serving Pav-Bhaji, Misal Pav, Vada Pav and Tawa Pulav. 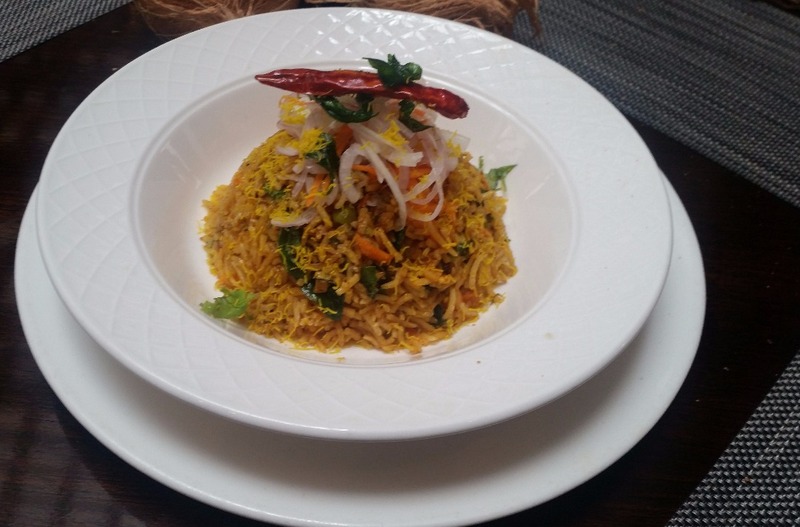 The Tawa Pulav for me was the pick of the items with very well balanced spices. This could be said about all rice based dishes of the day. A set of chutneys is also on offer to pair with the street food. There can be no Marathi food promotion without Koliwada dishes. 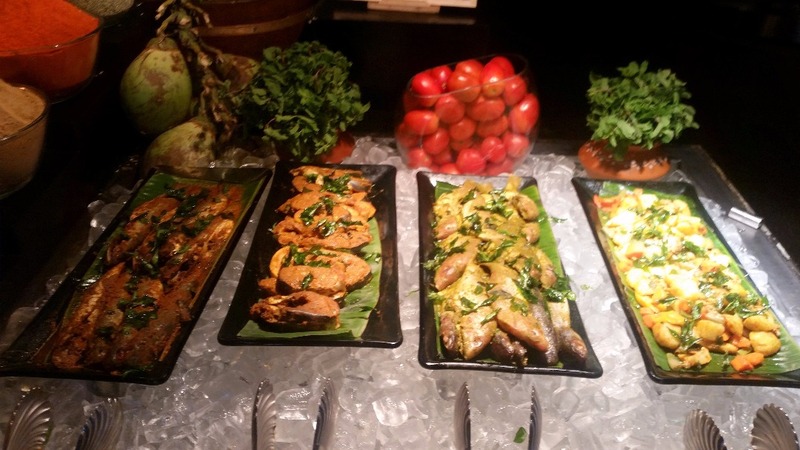 The cuisine of the fishermen was presented through a live counter serving varieties of fish. There were three main marinades – a red one with chillies, a yellow one with yellow chillies and turmeric and the third green one with mint, coriander leaves and green chillies. There was also fish grilled in the traditional way over charcoal. 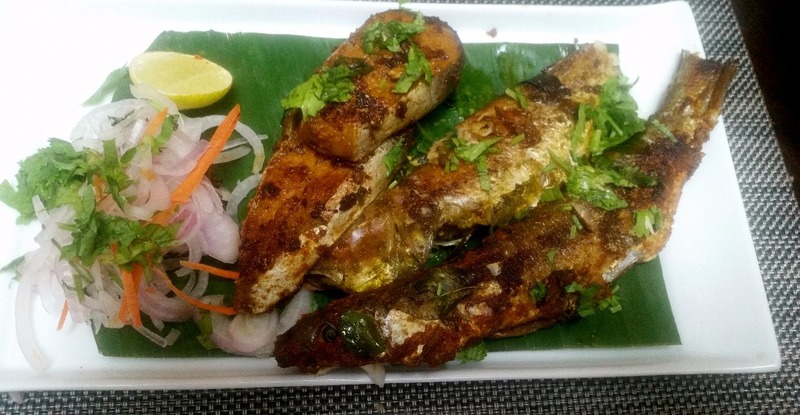 Komdi Vade is a typical dish of Ratnagiri region of Maharashtra. Fluffy poories of flour is combined with some delicious masala laden chicken curry. For me, this was one of the best dishes of the day. Among the vegetarian main courses, the pick for me was Malwani Chole, a spicy preparation of chickpeas using fresh coconut. 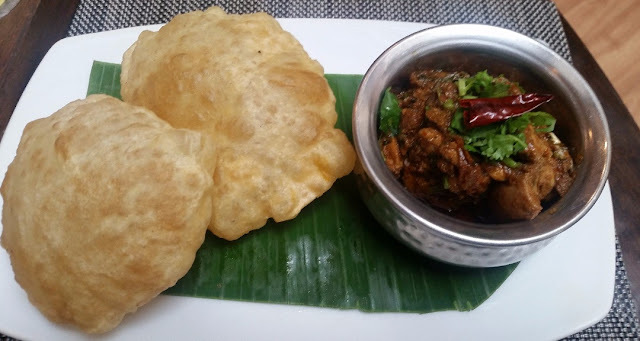 Puneri Aloo was a potato preparation with peanuts, dried red chillies and curry leaves. Urda Methi, a lentil and fenugreek leaves preparation and Bhendichi Bhaji were the other vegetarian items of note. Mutton Kanda Fry, a spicy mutton recipe with onions went well with the poories. 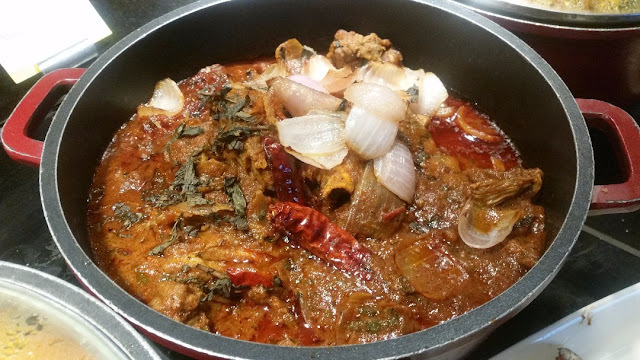 Narali Chicken from Malwan was a coconut based thick gravy. The Bombay Masala Komdi Biryani, actually a pulav with lots of fried onions and chicken would be liked by even Hyderabadis, who are quite fussy about their rice and meat dishes. Zunka Bhakar is the comfort food of Maharashtra which is enjoyed by both classes and masses due to its easy preparation and simple taste. The local government had decided to offer this combination as a cheap meal for the poor priced at Re 1. 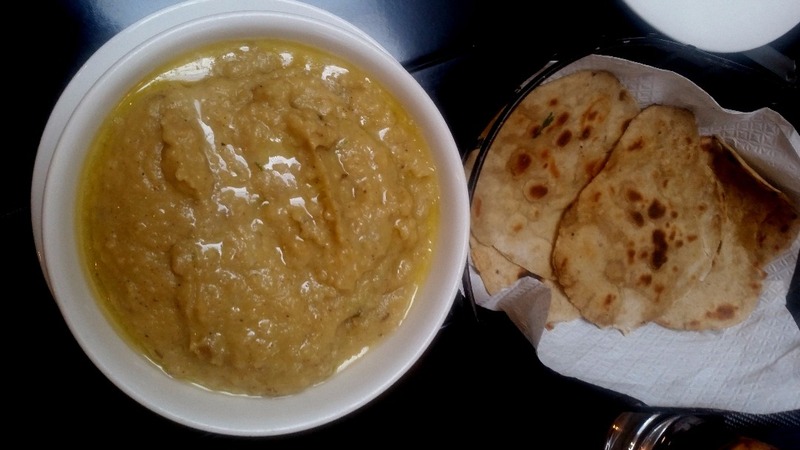 Zunka is a simple preparation of gram flour whereas bhakar or bhakri is roti made of jowar or bajra. The simple combination was enjoyed by all. The desserts of the day were Khoya Modak, Puran Poli and Shrikhand. I liked the Shrikhand as it was very subtle and low on sweet. Overall, a must attend the festival for food lovers like me who are fond of Indian regional cuisines. 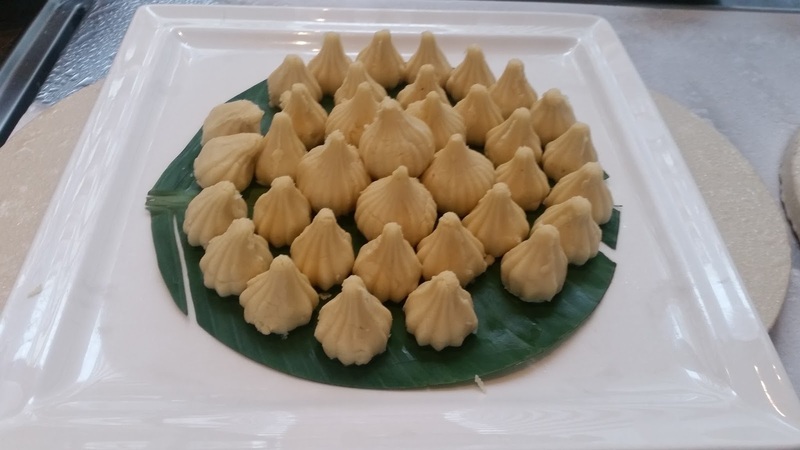 I cannot but repeat that effort has been made to cover the delicacies from all regions of Maharashtra. 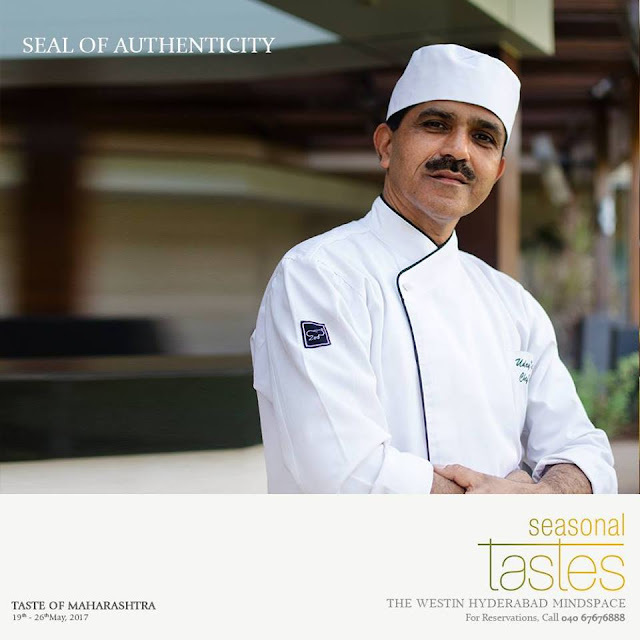 Chef Uday is a person with deep knowledge of his cuisine, and anyone visiting this festival should make it a point to interact with him. The festival is on till 26th May.